POKER von MODIANO, 100% plastic, 4 Jumbo Index, ohne Rand! 100% plastic playing cards, casino quality, 52 cards + 2 joker, intern. 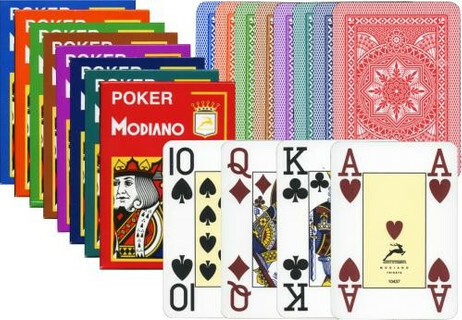 face, poker size (88 x 63 mm), 4 JUMBO INDEX, Top - cards manufactured in Italy.